The average wedding these days costs over $27,000 and that doesn’t even include a honeymoon! However, just because that’s “average,” it certainly doesn’t mean you have to spend that much. Here are some tips on how to keep your wedding budget in check. And just think of all the great things you can do with the money you save! Splurge only on what is important to you. You may not care about flowers at all. If so, don’t spend a lot on them. There are plenty of options for do-it-yourself centerpieces and sometimes churches or venues even provide enough decoration on their own. 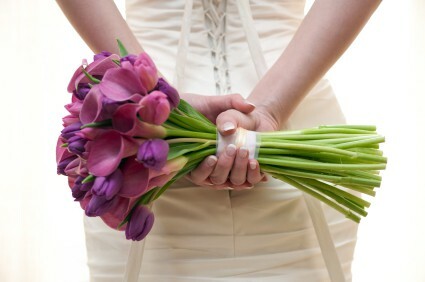 However, someone else may really love the look of flowers and not care at all about what the invitations look like. They could always spend more money on flowers but save by skipping “Save the Dates” and printing their own invites. Barter. Are you really good at website design and have a friend who has great photography skills? Why not offer to help out with a website showing off your friend’s work in exchange for some engagement photos? This could go for cake baking, DJ’ing, calligraphy, designing invitations, or having the ability to get discounts on food or alcohol. Consider getting married in the “off-season.” With the wacky weather we seem to be having these past few years, there’s as good a chance you’ll get a beautiful day in March as you would in June, but vendors will charge you less for the same exact services (reception site, food, etc.) if you get married during a less popular time of year. The same goes for Friday or Sunday weddings. You’ll pay less for the same exact party you’d have on a Saturday! Be willing to plan the wedding on short notice. If you are looking at venues in June, most reception sites will expect that you are planning a wedding for the spring or fall a year or more out. If they still have available dates for that coming fall, they’re certainly not going to expect someone to fill the spot just three to four months out. That’s great news for you though because it means they may be willing to negotiate on cost by eliminating a site fee or cutting prices on food and alcohol. They’ll still make more money by having someone fill that date than they would leaving it empty and you may just get the venue of your choice at a huge savings! With a little creativity and flexibility, your wedding doesn’t have to be a huge financial drain. Remember, at the end of the day, no matter what you spend on the wedding, you’ll still be married!